Winter has officially set in here in London, the clocks have gone back and you no longer see even an hour of daylight. You leave in the morning in the pitch black and as you pack your satchel for hometime at the end of the day, it's also dark...depressing! Even more depressing perhaps is that now's the time that you naturally pile on the pounds...exercise in these temperatures is a complete no go and cold crunchy salads are the last thing on the menu each evening - instead creamy mash, hearty stews, roast dinners and shephards pie are staples...basically anything fattening and carb filled unfortunately! So as thoughtful as ever, we have come up with the best solution! One that will make you happy, takes zero energy (you need all you have to keep you warm! 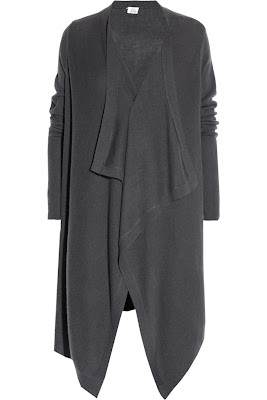 ), makes you look good with the oversized, drapey styling and makes you feel SUPER cosy!! 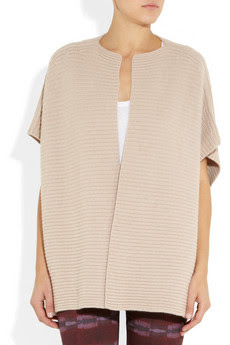 It can only be 3BM's cosy cashmere lust list of course! Firstly if you are saving the pennies right now you may want to stop reading this post now...there is some serious cashmere candy coming up and it will stretch that overdraft limit considerably! I became addicted after owning my first cashmere tracksuit from M&S - at £250 a pop they don't come cheap but they are definately worth it! The words 'Footballers' and 'Wives' might spring to mind when you hear tracksuit, however I only agree when worn in public with ugg boots! I on the other hand save mine for freezing winter evenings at home after a hard day at work when all you need is a comfy night wrapped up on the sofa with feel good TV, a glass of red wine and a bowl full of sausages and mash! 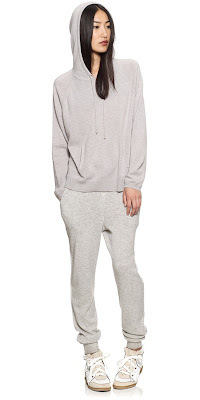 Even better M&S presents you with a cashmere tracksuit that can be machine washed...perfection! 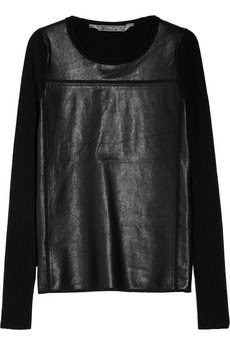 Since then I have been sold and have my eyes currently peeled for my new cashmere capsule wardrobe...! 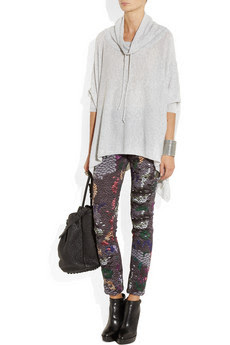 See our top picks available now...you know you want some...! If you're residing in hotter climates i.e HK, you may be on the beach now, but it will get chilly soon, and until then whack up the air conditioning until your teeth are chattering - there is ALWAYS an excuse when we're talking cashmere! 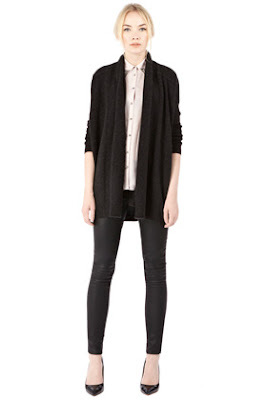 First up, this gorgeous sleeveless cardigan, everything that cashmere should be - chic, beautiful and expensive...! Don't say we're not good to you! Happy Shopping and Snuggling!